Patients/consumers, physicians and caregivers sometimes find it difficult to keep up with the ever-changing treatment options for HIV/AIDS and related opportunistic infections (OI’s). The aim of this guide is to help clarify the many different avenues of access to approved and unapproved conventional and unconventional treatments for HIV/AIDS and OI’s. It can be used by both physicians and patients/consumers to help gain access to a desired treatment. The first step is always to consult your physician. Your physician can find out for you if the treatment you want is approved for sale by the Health Protection Branch (HPB) of Health Canada for treatment of HIV/AIDS or OI’s. If the treatment you want is approved, your physician can simply prescribe it. Many pharmaceutical companies allow access to treatments which are not as yet approved for sale in Canada. The Drugs Directorate of the Health Protection Branch (HPB) of Health Canada sponsors the Special Access Program (SAP). Your physician must apply to the SAP for the drug you want. There may be a charge for the treatment. May also be called compassionate use, open label trial or parallel track. Some Phase II and Phase III clinical trials have a compassionate arm for people who do not fit the exclusion and inclusion criteria of the controlled clinical trial. This means you may be able to access the treatment without actually participating in the study. However, there may be rules. For example, you may not know what dosage you are receiving of the treatment. Approach the site investigator of the trial through your physician. Toronto General Hospital does not recommend, advocate, or endorse the use of any particular type of treatment described in the information provided. Because of the rapidly changing nature of information about treatments and regulatory bodies governing access to treatment, individuals should gather as much information as possible before making health management decisions. Such decisions should always be made in consultation with a physician or other qualified health care provider. Providing you fit the inclusion and exclusion criteria, you could participate on a clinical trial. It is important to remember that in a controlled trial you may receive a placebo, or the treatment in combination with another treatment. Make sure you understand the design of the trial before giving your informed consent to participate. In order to participate on a controlled clinical trial, you must approach the site investigator of the trial through your physician. You may be able to access a treatment by getting your physician to apply for you to be in a “trial” of one participant only you. This is similar to a Treatment IND (Investigational New Drug) in the U.S. An N of 1 Trial is rare and considered more of an academic model of a trial. Some unapproved treatments may be available through Canadian or U.S. Buyers’ Clubs. These are quasi-legal agencies which were initially set up to provide low-cost treatments to the community by buying up large quantities of the treatment in demand. Contact your local community ASO (AIDS Service Organization) for information, contact numbers and addresses. 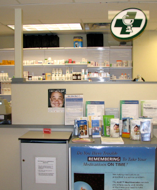 Many unconventional treatments are available through health food and vitamin/supplement stores. Contact your local ASO for the names of stores which specialize in HIV/AIDS related treatments, or the names of reputable practitioners of complementary/alternative therapies. Wherever, whenever, and however you can, seek out information about the treatment you want to access. Contact your local ASO, treatment activist organization (AIDS Action Now! ), other persons living with HIV/AIDs (PHA’s), the media, and anyone you can think of. The more support you have, the better chance of eventually accessing the treatment you want. Start with a referral to an HIV specialist from your physician, along with a letter of support from your physician for access to the treatment you want. If a trial is already planned or underway in other centres, the HIV specialist may try to initiate a local site to the trial. This would also be dependent on the manufacturer’s interest in expanding the trial to include new sites. If a clinical trial of the treatment you want to access is taking place or in planning, you can approach the manufacturer to include a compassionate arm in the study. Approach the manufacturer via your physician for the treatment to be made available through the SAP. Both the SAP and the manufacturer must be contacted separately once the process is initiated. You can approach an HIV specialist to initiate a proposal for a new clinical trial of the treatment you would like to gain access to. If the specialist can be convinced that the trial is worthwhile, it will still be a long time before a trial can begin. The specialist must write a proposal, develop a protocol, consult physicians for participants, pass the proposal through a hospital ethics review board, the HPB, apply for funding, etc. etc. This would also be dependent on the manufacturer’s interest in pursuing a clinical trial. There are many avenues by which you can advocate for access to the treatment you want: hospital community advisory boards, patient relations departments, federal and provincial government offices (your local MP, MPP, Minister of Health, etc.) The Social Work Department of the hospital may be able to help with accessing finances to pay for the treatment you want. You can also approach your local ASO for their help in advocating on your behalf.